Extracts data from macOS iCloud keychains and LastPass databases, decrypts VeraCrypt for Linux. 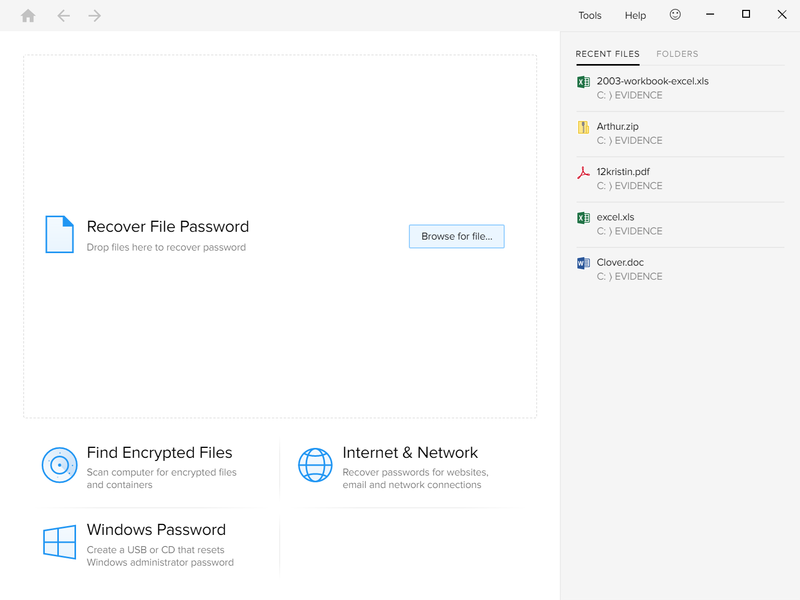 Allows users to create a snapshot of a password recovery process at any time, so that it can be resumed later or transferred to a different computer or cluster. Passware Kit Forensic is the complete electronic evidence discovery solution that reports all the password-protected items on a computer and decrypts them. 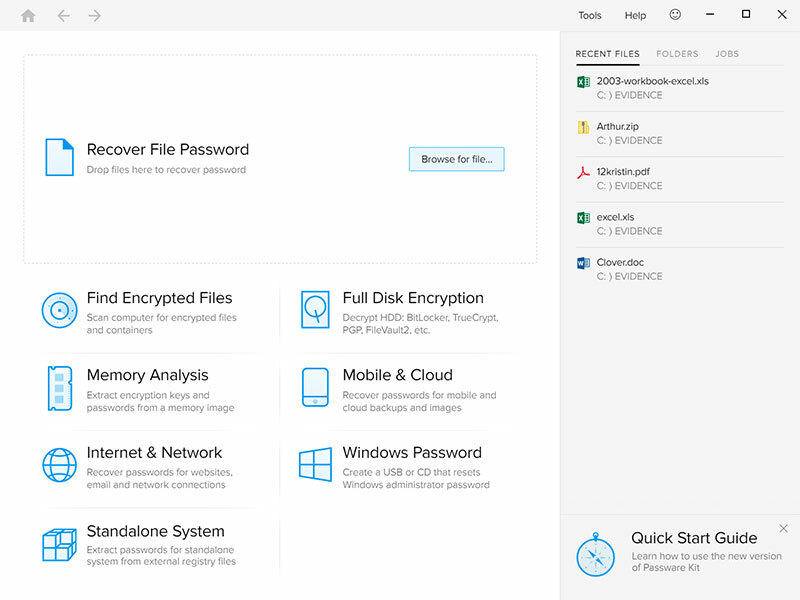 Passware Kit Business is a complete password recovery solution that provides corporate security administrators with full control over employees’ computers and files. 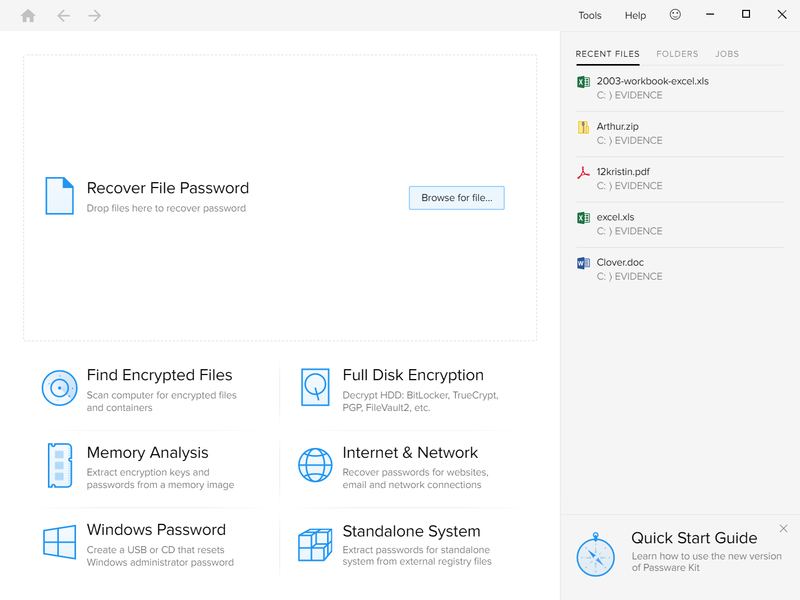 Passware Kit Basic is an easy-to-use tool that recovers passwords for MS Excel and Word documents, Windows Administrators, email accounts, and websites. For the last 20 years, Passware has been helping Fortune 500 corporations, worldwide police agencies, federal, state, and local government agencies, IT and forensic professionals, and tens of thousands of businesses and private users with their password problems. We are proud to have IRS, NASA, Boeing, DOD, US Department of Justice, Department of Homeland Security, and others as our customers.